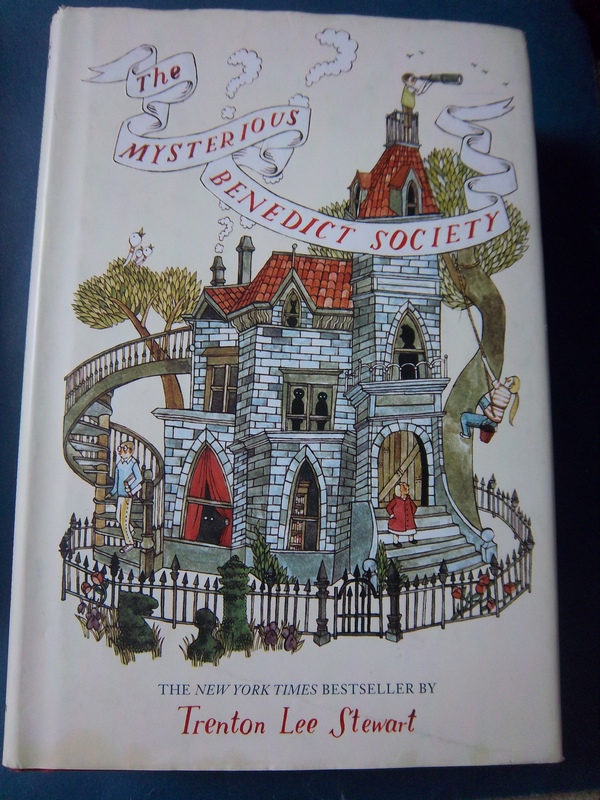 I absolutely loved The Mysterious Benedict Society, by Trenton Lee Stewart. It’s like a mash-up of Roald Dahl and The View From Saturday, with little bits of Harry Potter and The Westing Game thrown in. It has courageous orphans, puzzles, useless details that turn out to be important, and mysterious characters with secret pasts. It has four unique children who are thrown into an adventure, become friends, rise to the challenge, and triumph over evil. Reynie, Kate, Sticky, and Constance all have their own strengths, and different types of intelligence. Reynie is good at puzzles, Kate is athletic and thinks outside the box, Sticky has the book smarts, and Constance…is Constance. At various points all their skills come into play, so that they are not able to succeed except as a team. They are also, despite their occasional squabbles, really nice kids. I’m not quite sure how to explain it, but even as an adult, I found myself thinking that these were characters I would trust and look up to. Reynie especially seemed to have a wisdom beyond his years. The plot was clever and engaging. Despite the length of the book, I couldn’t put it down, barely even for meals. I was never disappointed along the way; even when I finished, I discovered that the back cover had a secret message in Morse code that I had to look up the alphabet online to decipher. I’ve already added the next two to my Bookmooch wishlist, and may break down and buy them new if they don’t turn up after a while. This is definitely a keeper.